Donate today to ensure your gift has 5 times the impact! Did you know that when you give to our End of Financial Year Appeal, your donation has 5 times the impact because of funding from the Australian Government? Every dollar you give now means we are eligible to receive $5 from the Australian Government next year, and in following years, up to the limit of the Government grant. This means that you enable us to deliver 5x the impact of our work. Conversely, if the amount of support we receive goes down, so does our contribution from the Government. Christians stand in a long tradition of helping others. The New Testament itself tells of what could be termed the first international aid project. In his second letter to the Corinthians, Paul tells an incredible story of generosity offered by the Macedonian church to the struggling poor church in Jerusalem. While Macedonian Christians were themselves wracked by poverty, they gave in a generous and sacrificial way to help the Jerusalem church. Christians have been making a difference from the very start, and Anglicans have been a part of this. Mercy is someone whose life has been transformed by love. Orphaned at four years of age, Mercy became pregnant and married at 14 to an older man, and did not finish primary school. After a few years, Mercy and her child were kicked out by her husband. Through the community work of our partner, the Anglican Church of Kenya (ACK), Mercy was supported to find her feet collecting firewood and burning charcoal. 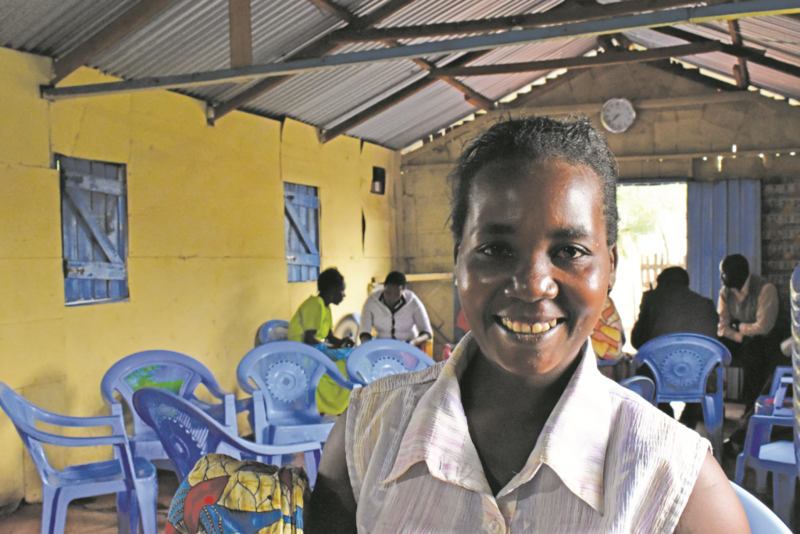 Just as Mercy was starting to rebuild her life, her former husband found and raped her. Pregnant again, Mercy faced a health crisis that left her unable to work. Again, her local community acted, with the help of ACK, to raise money for an operation. ACK are training community leaders in legal rights and justice, in order to protect children and women like Mercy in the future. Like many other people, Mercy has found help, solace and purpose as a result of the projects that you support through Anglican Overseas Aid. Mercy’s story shows that ACK is continuing the tradition of the Macedonian church by providing assistance to those who desperately need it. 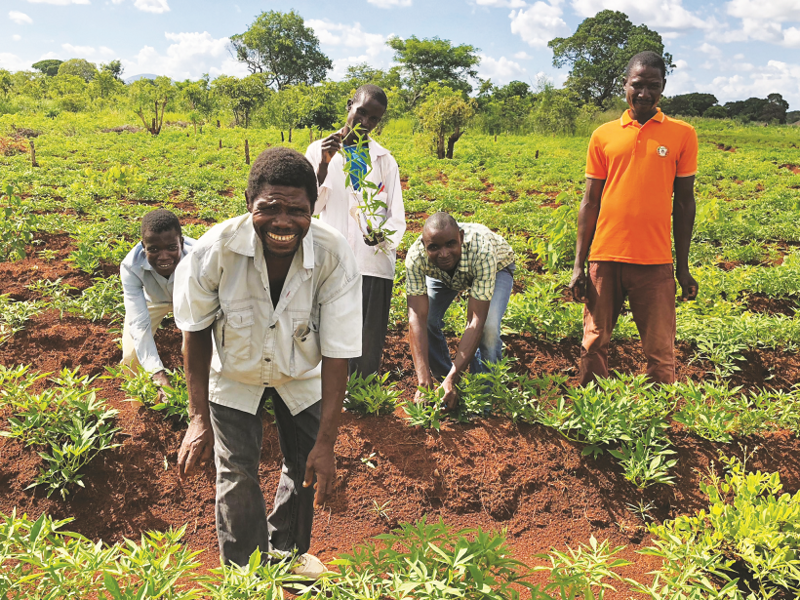 Our partner, the Anglican Diocese of Niassa, encourages churches in northern Mozambique to host ‘equipas de vida’ or ‘life teams’. These are groups of women and men who volunteer in the communities where they live. In the photo above, members of a ‘life team’ proudly display the fruits of their labour. The produce is used to support the most vulnerable members of the community. You can continue to be a part of the history of Anglicans making a difference by donating to our End of Financial Year Appeal. You can do so by calling us on 1800 249 880 or going to our website. We have created a pew sheet for our End of Financial Year Appeal for you to distribute amongst your church congregation. Click here to download the pew sheet for free. To donate to our 2018 End of Financial Year Appeal, please click on the ‘Please Donate’ button below (choose ’01. 2018 EoFY Appeal (B) Online’ from the ‘Donation’ drop-down menu) or call us on 1800 249 880.